Have you ever spent the night strolling through the city out in the cold? How about cheering on a favorite sports team? The next day, you wake up with no voice…Gone…Kaput. Your friends and family may be grateful for the silence, but we’re willing to bet you’d like to get back into the conversations as soon as possible. There are a variety of medical conditions that can cause you to lose your voice, including laryngitis, laryngopharyngeal reflux disease, voice overuse, and cancer. More often than not, losing your voice isn’t serious. There are a few home remedies to help your vocal cords recover quickly. If you’ve ever wondered what to do if you lose your voice, FastMed can help. 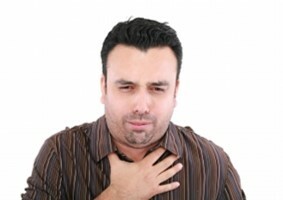 FastMed Urgent care guide you on what to do if you lose your voice. If your voice does not come back with rest, or you are having trouble breathing, you should seek medical attention. At FastMed, you can walk in and be seen for your lost voice–no appointment necessary. Our walk-in clinics are open 7 days a week, 365 days a year. That’s right: even on the holidays! Contact us for more information about clinics in your area.